Below are eight (highly) successful entrepreneurs who didn’t go to university. But still worked very hard. We’re not saying you shouldn’t get an education, we’re saying exacly the opposite. Every single person listed below got educated to be the the very best in their field, they just went about it in a non-traditional way. 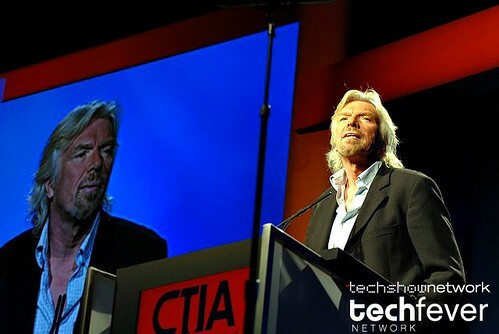 Branson was a natural entrepreneur, publishing his own magazine and selling records out of the trunk of his car at 16. With a partner, he started a mail-order record company, naming it Virgin because the duo was new at business. Virgin Group now owns more than 200 companies in 30 countries including a record label, airlines, and health clubs. After one semester at Reed College in Oregon, the Apple co-founder dropped out but continued auditing classes, including calligraphy, to which Jobs credits the “multiple typefaces and proportionally spaced fonts” on the Mac. Later, Jobs took a job at Atari video games in order to save for a spiritual journey to India. It wasn’t until he returned from his trip that Apple began. Amos worked odd jobs starting when his family moved to New York City when he was 12. He served four years in the Air Force, worked as a stock clerk at Saks Fifth Avenue, and finally worked his way up from the mailroom at William Morris talent agency to become its first black agent. In 1975, eager to branch out from the entertainment industry, Amos, who was known for baking goodies for his agency clients, opened the first Famous Amos Chocolate Chip Cookie store on Sunset Boulevard in Los Angeles. In high school, Bradley realized that teens in his Brooklyn neighborhood had no safe community space to spend time in after school. On his own initiative, he opened his family’s front porch and basement as a makeshift community center. After graduation, Bradley chose to stay in Brooklyn and found Team Revolution instead of going to college. He organized groups of young people to go door to door raising money for a community center. The Team raised $25,000 and now operates programs and workshops for the community. At 24, Bradley won a Golden BRICK award for community building. In 2000, Kalmikoff and Nickell, both college dropouts, entered an online T-shirt design contest and won. With the $1,000 prize, they founded Threadless, an online clothing company that allows customers to help design shirts using an innovative open-source business technique. Now, the pair gives talks to executives from some of the country’s largest companies about their unconventional, extraordinarily successful business model. Kaster bypassed college and took a job at 16 as an apprentice at his grandfather’s pattern-making business. He eventually moved up to managing the business, and began to delve into other areas of art and design. With his wife, he founded Eleek—a metalworking shop that uses almost exclusively recycled materials and scrap metals discarded by other local businesses. His shop works with ReBuilding Center, which salvages reusable building materials. McKinney was working as an electrician’s apprentice when he built a prototype for an LED bulb. With two partners, he went on to co-found Clean Light Green Light, a company that produces energy-efficient lighting for industrial, commercial, and government clients. Through Clean Light Green Light, McKinney works to ease businesses into a greener way of life by building LEDs that are as cost-effective as they are energy efficient.